An image scanned from a black and white negative within items of a family living in Old Orchard Beach, Maine in the early 1900s. 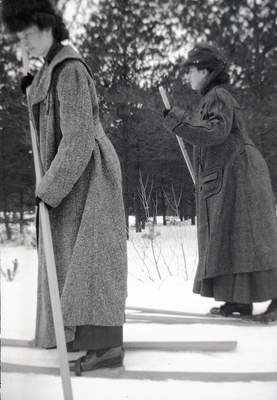 Two women dressed in full length skirts and heavy coats stand on rustic cross country skis, each using a single wooden pole for support and to propel them along. Circa 1905.